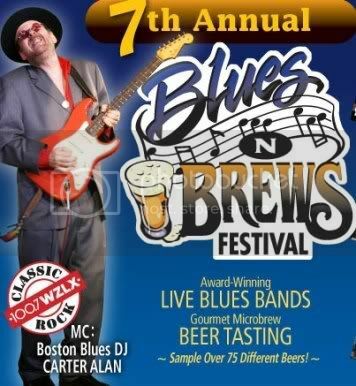 Blues N Brews Freebies: Planners are running weekly drawings for free t-shirts, gift certificates, pint glasses, etc. beginning this very weekend! If you buy your tickets in advance you are qualified to win. Those whose names are drawn will be listed on the BluesnBrews.com website. Winners can pickup their gifts at the gate on the day of the Festival!